A new book looks inside one of the most controversial NFL scandals in years. A new book reports that in order to avoid his four-game suspension in 2015 over what became known as “Deflategate,” star New England Patriots quarterback Tom Brady offered to pay a $1 million fine, but that wasn’t enough for National Football League (NFL) Commissioner Roger Goodell. 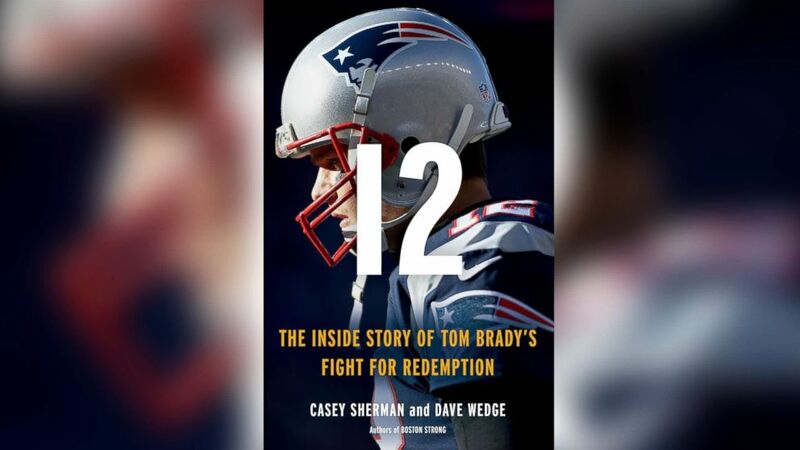 "He demanded that Brady state publicly that former Patriots equipment guys [John] Jastremski and [Jim] McNally had purposely tampered with footballs, even without his knowledge," authors Casey Sherman and Dave Wedge write in their new book "12: The Inside Story of Tom Brady’s Fight for Redemption." “There’s no way I’m gonna ruin these guys for something I believe they didn’t do,” Brady is said to have told DeMaurice Smith, executive director of the NFL Players Association and Brady’s legal representative, according to the book. (Little, Brown and Company) In this undated photo shows the cover of "12: The Inside Story of Tom Brady's Fight for Redemption." The new book details the infamous 544-day saga which began in January 2015 when the New England Patriots were accused of using under-inflated footballs in the American Football Conference (AFC) Championship game. The Patriots won that game, sending the team to Super Bowl XLIX in Phoenix, Arizona. The subsequent battle between the NFL and their top-tier quarterback played out first in private NFL arbitration meetings, but ultimately escalated into a federal court fight, before ultimately landing Tom Brady the four-game suspension and banishment from all Patriots facilities for a month. A spokesperson for the NFL declined to comment on the new book, and neither the Patriots nor Brady himself immediately responded to requests for comment about "12." The book describes the tension within the Patriots organization as Brady watched Patriots owner Robert Kraft accept Brady’s four-game suspension and vow not to appeal the NFL’s decision, in a press conference broadcast in the spring of 2015. "Kraft’s star quarterback Tom Brady watched the news conference along with millions of others on television," the authors write in the book. "He was devastated and angry. Brady grabbed his cell phone and punched in the contact number for DeMaurice Smith." “What the f--?” Brady shouted into the phone. “Why am I not getting the support I deserve on this thing?" Smith assured Brady that the union would fight on his behalf, and they did -- appealing the NFL arbitrator’s decision in court for more than a year. Sherman told ABC News that Kraft would only talk to the authors off-the-record about his current relationship with Goodell, and said that the team owner was reticent to revisit the controversial press conference. Similarly, Brady was reluctant during a 2017 interview with the authors to delve back into that period of his career. Sherman said that while fractures in the relationship remain, tensions between Kraft and Brady have largely been repaired. Kraft has "great affection for Brady and also tremendous anger, still, towards the NFL and what they did to [Brady]," Sherman told ABC News. But Sherman claims that Belichick and Brady do not maintain a similar relationship. Soon after the initial NFL investigation began in 2015, Brady gave a pre-Super Bowl press conference at the Patriots' Gillette Stadium in Foxborough, Massachusetts. Sherman and Wedge said that Brady completely ignored advice from the Patriots and the NFL Players Association not to speak out in a press conference. “Tom gave the press conference because he didn’t think the situation was a big deal and that he hadn’t done anything wrong,” Smith, the NFL players union representative, told the authors for the book. "He thought he would address it once and move on." “His minor infraction became a capital murder case,” Sherman said in the ABC News interview. Sherman went on to say that, at most, he views Brady as an unwitting co-conspirator, but believes that the Patriots equipment guys had to have known that they were in violation of NFL policy. 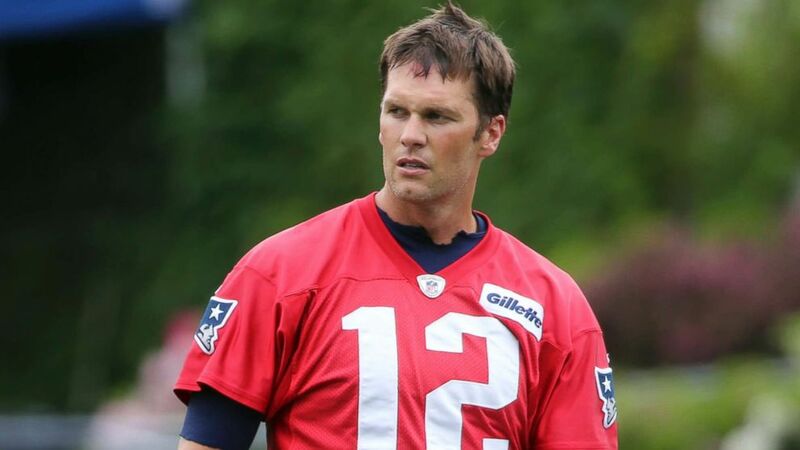 (Elise Amendola/AP, FILE) New England Patriots quarterback Tom Brady during a break in an NFL football minicamp practice, June 6, 2018, in Foxborough, Mass. Wedge, who has Boston roots and described himself as both a Patriots and a Brady fan, said it didn’t affect his work as a journalist on the book. “I followed the facts where they took me," he said. "If we had found some smoking gun that implicated him – we would have reported that. We didn’t find that. Conversely we didn’t find anything that exonerated it." Sherman, who has worked extensively with the Central Intelligence Agency and the Federal Bureau of Investigation on other investigations, said he had a harder time extracting information on the Deflategate story than during his work with those organizations. "12" is Sherman and Wedge's third book together. The duo are also behind the stories of the hit movies "The Finest Hours" and "Patriots Day." The authors are currently meeting with studio heads and potential lead actors for an adaptation of “12”. Sherman said that in interviewing Brady, he and Wedge were struck by his vulnerability -- something Sherman doesn’t believe many people understand about the Patriots quarterback. “You might hate him and he might beat your team all the time, [but] you have to respect him and all the challenges he’s had," Wedge added. "He’s great for the sport."